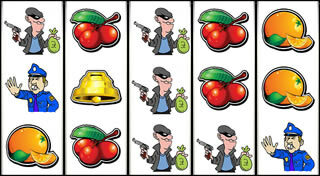 People who are worried about the possibility of being scammed by a rogue online casino can read this and find out how to avoid them easily and effectively. Knowing how to spot a rogue gambling site so you can avoid it is important in this day and age of large scale online personal identity theft, unlawful scams and downright awful experiences. All online casino players will know very well the pure rush of excitement that comes from risking real money on a big gamble. But what about the more serious risk of coming across a rogue online casino that may not be as honest or trustworthy as you might believe from its glossy and appealing exterior? It's a sad fact that while most established Internet casinos are law abiding and trustworthy, there are some that are not exactly what they appear to be. Some may trick you into obtaining your personal details for nefarious use later on, or those that simply take your money but fail to pay out what they owe you when you win. Others simply provide such awful service or support when things go wrong, you wish you'd avoided some places in the first instance. While underhand tactics are not restricted to just online gambling sites and you can come across all kinds of rogue websites that can leave spyware, or malware on your computer, it is a good idea to take some sensible precautions before opening any casino site. Below you will find the top five effective ways of identifying and avoiding such sites so that your Internet experience will be a good one. Research: It might sound like simple common sense, but it is essential to do some initial research about any site or casino you intend playing at. You can easily locate trustworthy and reputable casinos via player forums and major review site recommendations. Check that more than one site recommends a particular casino - the more the better. Also you can check on the credentials of operators and companies that run the casino sites. Look at the lower part of the site's home page for stamps of approval from industry auditors and watchdogs such as eCOGRA, TNT etc. These badges should, when clicked, open the official websites of these companies and not redirect you to strange sites or lead nowhere. Check the site lists its parent company or group and its registered and licensed location and which authority it is licensed and regulated by. This information can be cross-checked for validity. Features: Reputable companies will list their services and features they offer, such as contact details, customer support contact information, a help line etc. Sites will offer tempting bonuses, entry into tournaments and promotions that, when cross checked will be real in the case of trusted sites. Sites that offer tricks and cheats to help you win games should be avoided. You have to ask yourself if you would trust anyone who would offer to help you beat casino games that are not supposed to be able to be gamed. They are most likely scams! Personal Information: Any sites that ask you for sensitive personal information such as passwords, bank account details or credit/debit card pin numbers should be avoided. Beware of fraudulent follow-up emails that ask for these details or additional registration forms that are not part of the initial sign up process. Never follow links embedded in emails as they can and often do lead to malware sites. Always use your browser to directly open casino website sites mentioned in emails (don't copy/paste them as you could inadvertently be pasting the fraudulent redirect url into your browser). Reporting: Lastly, if you or anyone you know has been scammed by a certain website or had malware placed on your or their computer by a rogue site, report the site to the authorities in your country including the police. If you are a member of any high profile player forums, report it there too. The bottom line is that while there are many online casinos that will not rip you off if you are suspicious of any website, you should always proceed with caution. Follow the above suggestions to investigate the validity of the site and try to discover if it is blacklisted or has been reported as a scam or attack site to the larger player forums. Alternatively, you might want to check out own list of top 10 safe UK online casinos that are regulated and licensed there. Above all, whichever site you land on, stay alert, be vigilant and be safe!